The increasing cost of health care in the United States and disappointment with conventional, or Western, medical practices has led people to seek different, more natural ways to maintain a healthy mind and body. These alternative treatments include herbal remedies, massage, acupuncture, meditation, yoga, and music therapy. USA TODAY, the Nation's No. 1 Newspaper, has reported that nontraditional medicine is no fad...alternative medicine is in the mainstream. 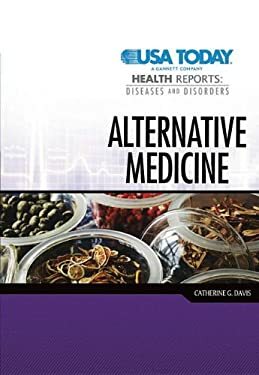 But the number and variety of available treatments collectively known as alternative medicine can be overwhelming.In this book you'll read about alternative medical treatments and how they can be used alone or together with conventional health care. Case studies describe situations in which these methods have helped people to lead healthier lives. Discussions of the pros and cons of alternative treatments will help you make informed decisions about all your health care options.